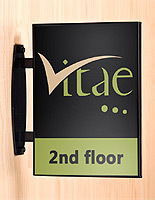 Adding an interior sign system is one of the easiest ways to facilitate visitor navigation inside an office building environment. 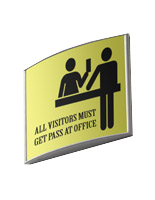 For the best in size selection and variety, opt for one of our wayfinding sign frames for the task. 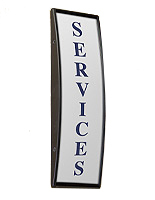 These curved signage holders feature extruded aluminum construction that brings contemporary styling to any installation. 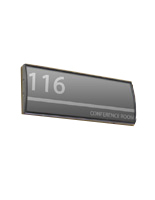 The wayfinding sign frames come ready to accept your custom printed inserts that display directional instructions, nameplates, and room designations. 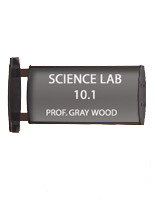 Thanks to the easy access designs, changing inserts is accomplished by simply removing the lens protector. 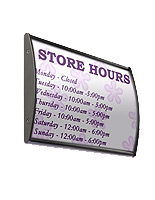 We stock these sign holders for same day shipment, with an easy ordering process that saves time and money for any do-it-your-selfer. 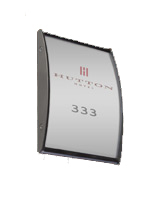 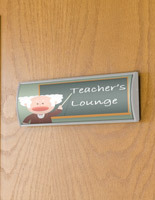 What types of office signage displays are available? 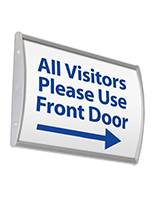 The wayfinding sign frames that feature curved faces are all extruded from solid aluminum. 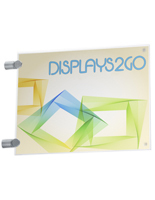 They can be mounted vertically or horizontally and each comes with VHB (Very High Bond) mounting tape for instant installation. 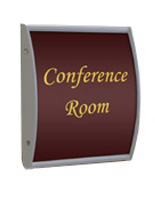 Small suction cups grasp the lens protectors for fast removal when inserting your custom inserts. 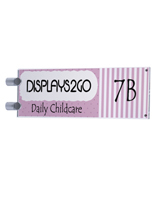 In addition, we sell the same style of frame in clear polycarbonate plastic versions with convenient swing-open doors. 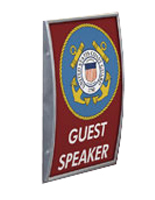 Flag sign frames feature a different design. 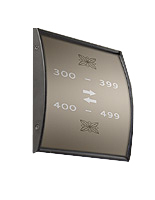 These are mounted at the edge with the sign projecting 90° from the wall. 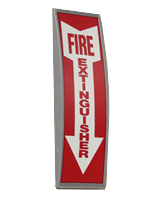 Suitable for fire extinguisher markers and for signage that's seen in both directions down hallways, these models are available in extruded aluminum as well. 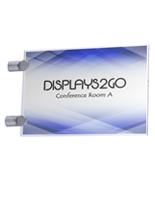 Another style offers clear acrylic plates that attach to two standoff-style wall mounts. 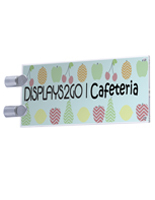 We also stock hanging signs for suspending from overhead. 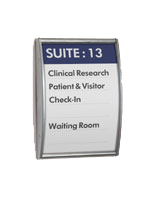 These models feature larger formats because they are intended to be viewed from further away. 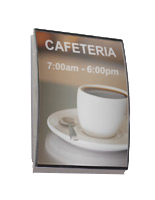 These signage holders provide the basis for a modular sign system. 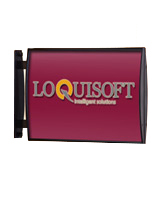 Browse from square or rectangular formats in a dizzying array of sizes. 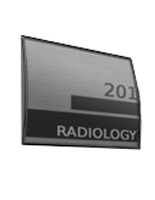 For example, the same style in anodized black aluminum is available in 20 different sizes. 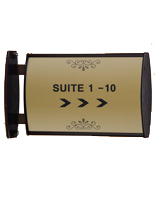 Use the small holders for room or suite designations while the larger models display directional indicators with multiple lines of information. 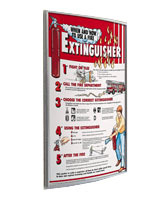 The framing accepts all types of printed paper or film inserts. 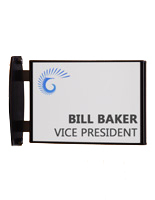 Printing these items and taking care of the mounting yourself can save time and money, especially when compared to designer and installer fees.